History of Novos Akros from Steve Felix on Vimeo. 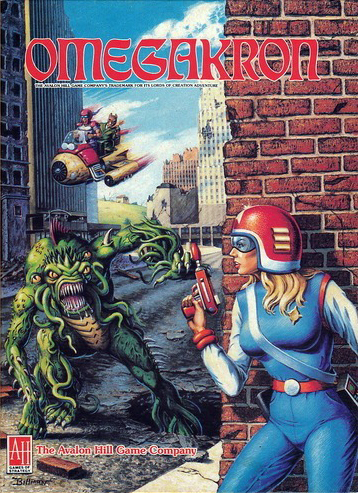 Very few small cities have their own fantasy games, which is what makes Omegakron one of the ultimate Akron-related collectable oddities. Ohio native Tom Moldvay cut his teeth in the role-playing game industry in the early 1980s by developing guides for Dungeons and Dragons as well as smaller adventure modules such as Gangbusters and Star Frontiers. One of his most personal stand-alone series—and what some consider his most detailed work—was the Avon Hill game Lords of Creation. Originally released in 1983, the game had three modules created by Moldvay, the final of the series being Omegakron. Set in the city of Akron 200 years after a nuclear disaster, players must navigate the urban rustbelt terrain; fight street gangs, mutants, and cyborgs; and eventually find their way back two centuries into the past. The game isn’t set in a fictional Akron; it is entirely based on the actual buildings, layout, and even the very real history of the city. The cover artwork and interior booklet feature many of Akron’s most recognizable landmarks, including the PNC Center, the First Merit Building, St. Bernards, Glendale Cemetery, and more. The game includes a map of the city, a history written by Moldvay, a detailed game booklet, and character stat sheets. You can read more about Omegakron’s plot and gameplay on the blog A Paladin In Citadel. 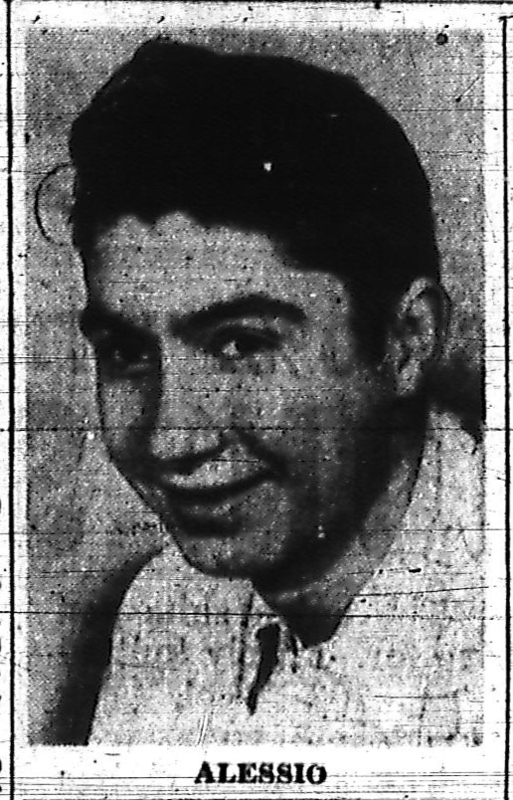 After several years of game design, Moldvay fell ill and returned to Akron to be near his family. Although he passed away on March 9, 2007 at the age of 58, he left a legacy of games as well as many incomplete projects that may eventually see the light of day. While Omegakron does require the Lords of Creation packaged set, they are both currently available on Amazon. 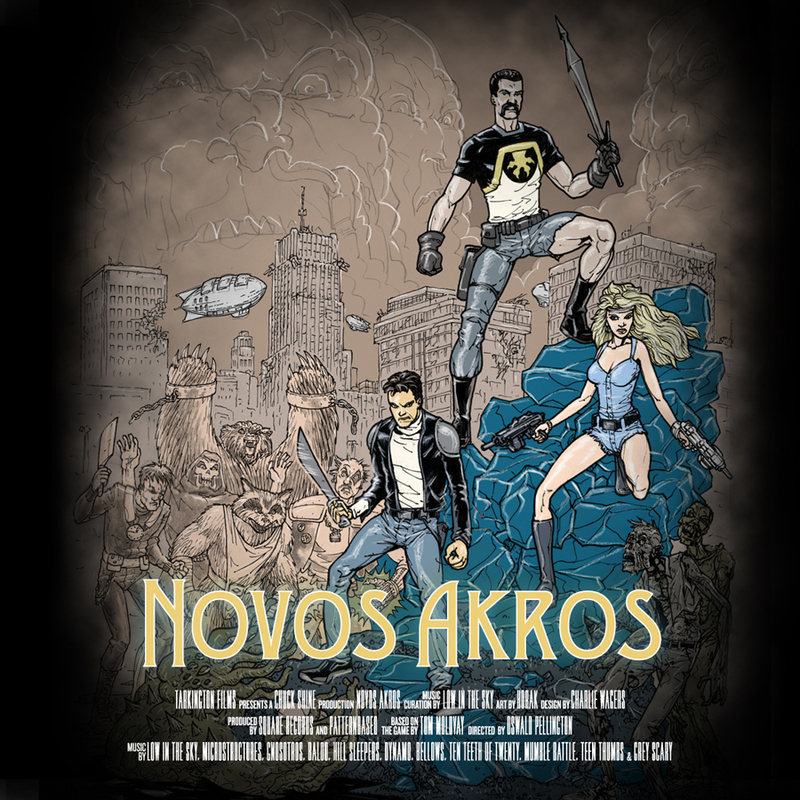 In 2012 Akron musician Joseph Minadeo’s record label Patternbased and Dave Ignizio’s Square Records produced Novos Akros, a soundtrack created not just for the game, but for a fictional film based off of the game. The compilation of local bands was released on CD for Record Store Day on April 21, 2012 and has since sold out, but streaming and downloadable versions are still available online. 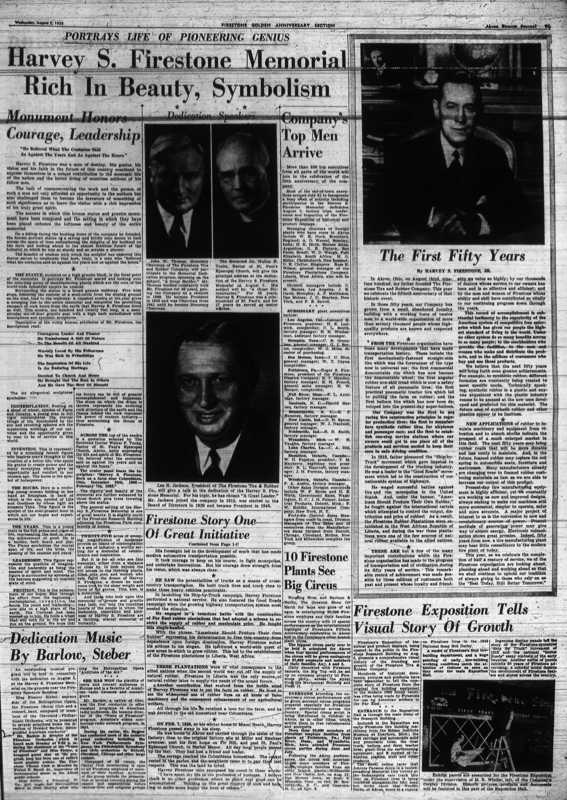 Few names are as synonymous with Akron and the rubber industry as Harvey Firestone. The Ohio native founded the tire company that bore his name in 1900 at the age of 32 and over several decades developed it into what would become a multi-billion dollar corporation. 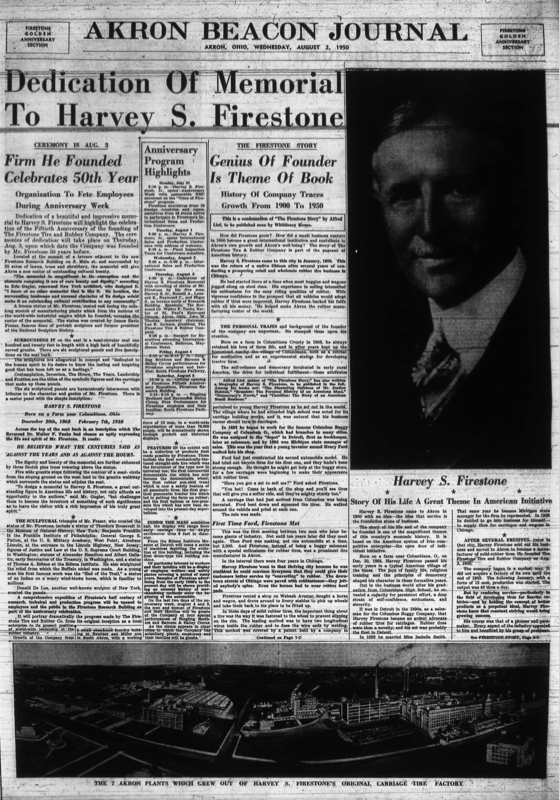 Firestone lived most of his life in Akron, but passed away in Florida in 1938. 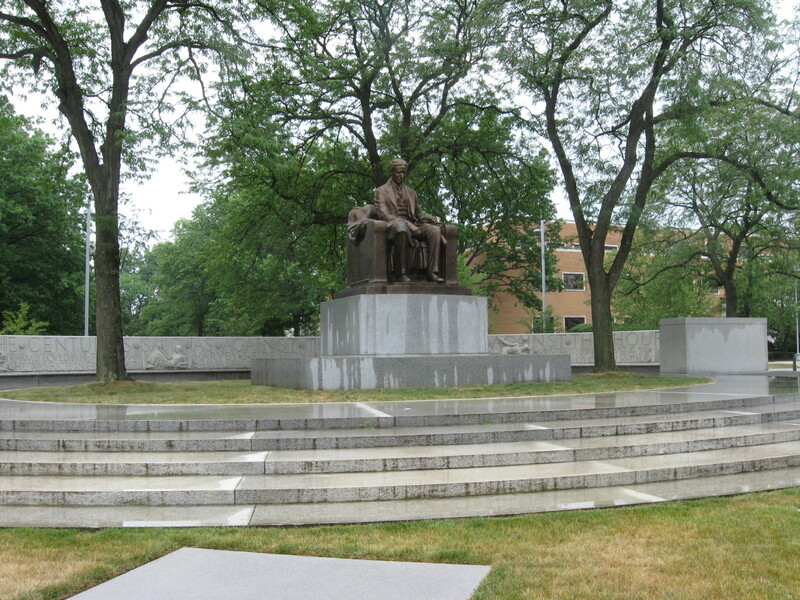 In 1950 Firestone Tire and Rubber decided to celebrate their fiftieth anniversary by creating and dedicating a large statue of their founder on the company’s campus. The imposing bronze sculpture, which sits in a beautiful memorial rotunda, would make a great Interesting Akron post on its own, but a 2000 Beacon Journal article by David Giffels revealed it secret origin and cemented its place in local lore. Firestone Engineer John Moore hired artist James Earle Fraser to create the monument in his Rhode Island foundry. As the dedication ceremony approached Moore discovered that Fraser wasn’t going to complete his work in time. Fraser offered one solution: Create a plaster replica of the statue using the original cast and paint it bronze. On August 3, 1950 the statue was unveiled to the Firestone family, employees, photojournalists (including one from Life Magazine), and hundreds of attendees. Luckily the event was a success and no one questioned the figure’s authenticity. When the final artwork was complete the memorial site was covered with a tent and the bronze was put in its rightful place. Moore kept the head of the plaster replica for many years, but eventually decided to destroy it and discard the remains. More than sixty years later Firestone’s likeness still casts its gaze on the entrance of what is now the Bridgestone tech center. 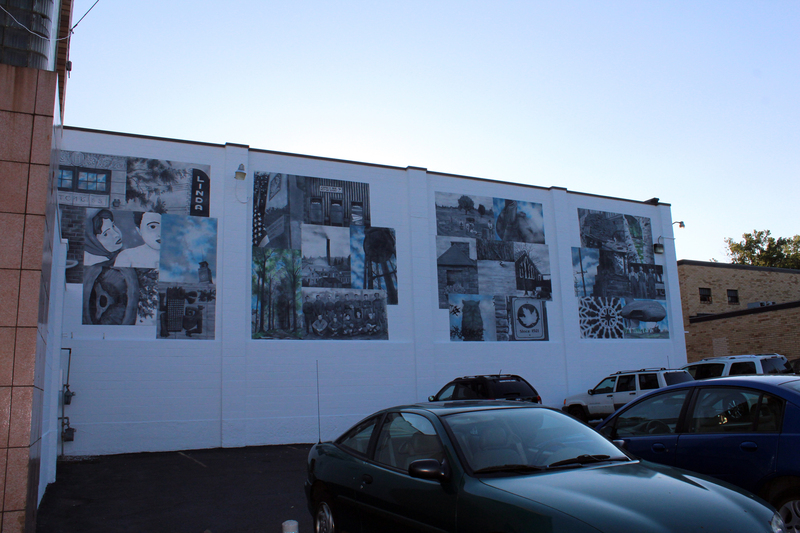 It can be seen at a distance from Main Street but the best view is from the Bridgestone Parking lot. 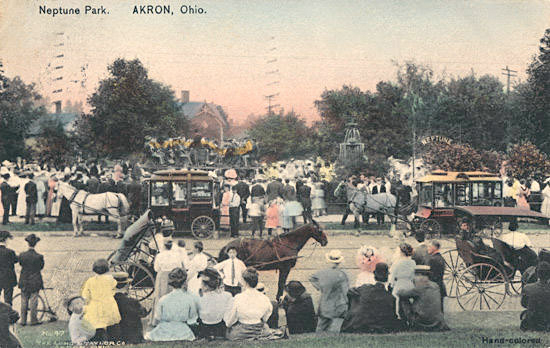 West Akron’s Shady Park is just a sliver of the grand recreation area that gave residents a place to picnic, catch a musical performance, and escape the smoky factories on the Eastside. J. 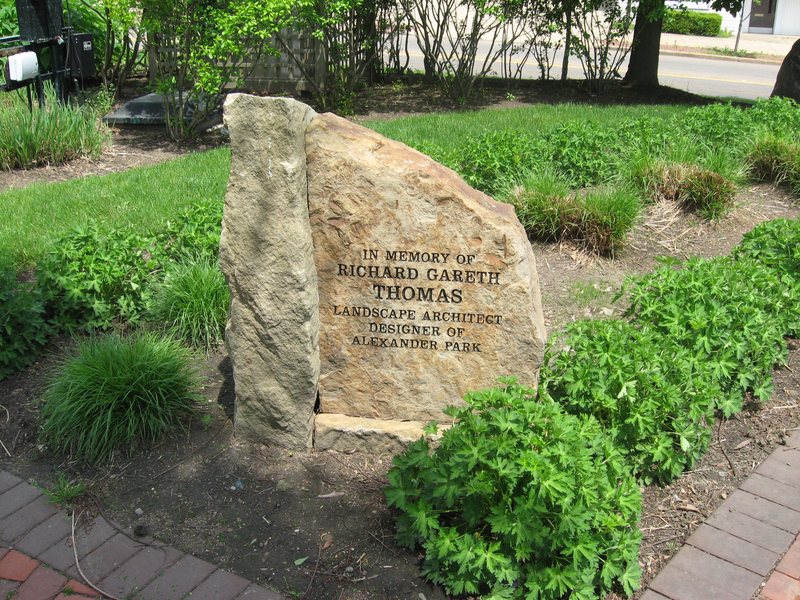 Park Alexander, a wealthy and prominent Akronite who found his fortune in the fire-resistant brick business, lived directly across the street on a large plot of land where a McDonalds now exists. Alexander donated a fifteen-foot fountain that was installed in the center of the park, which was later fenced in and became a central gathering place. On June 16, 1893 the city held an opening day party, complete with speeches by politicians, a marching band performance, and a large fireworks display. 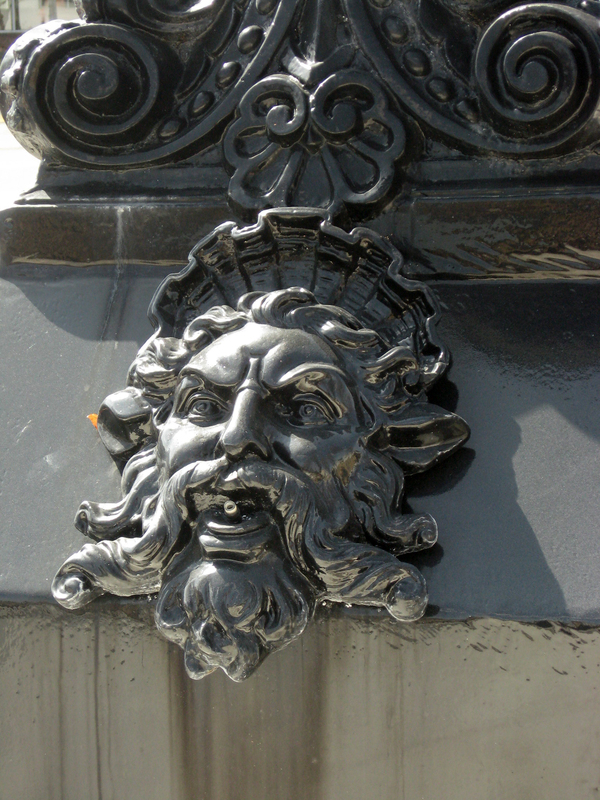 Akron’s park commissioner had the fountain in mind when he decided on the name Neptune Park, a reference to the Roman god of water and the sea. 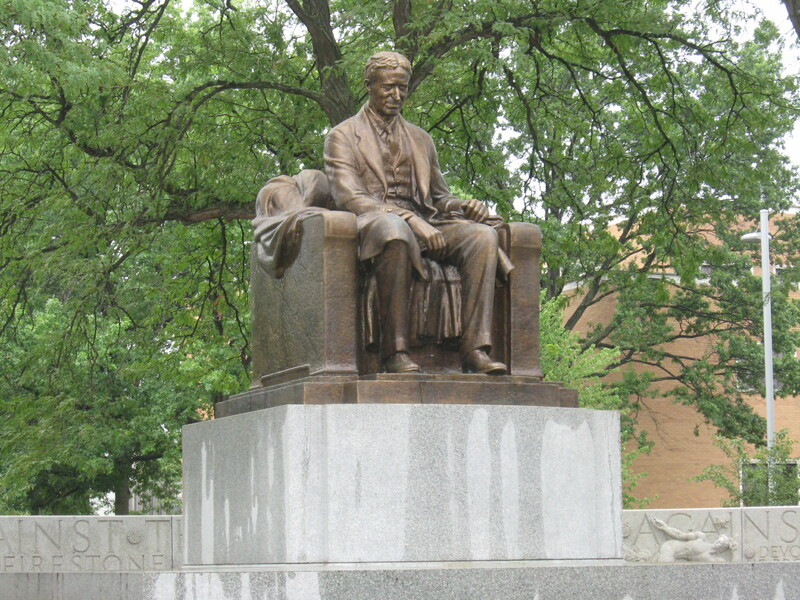 After Alexander passed away in 1908 the park was renamed Alexander Park. 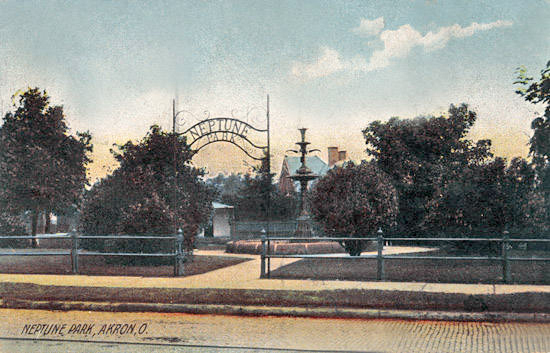 Less than two decades later the fountain was removed after the area fell into neglect and began to decay. 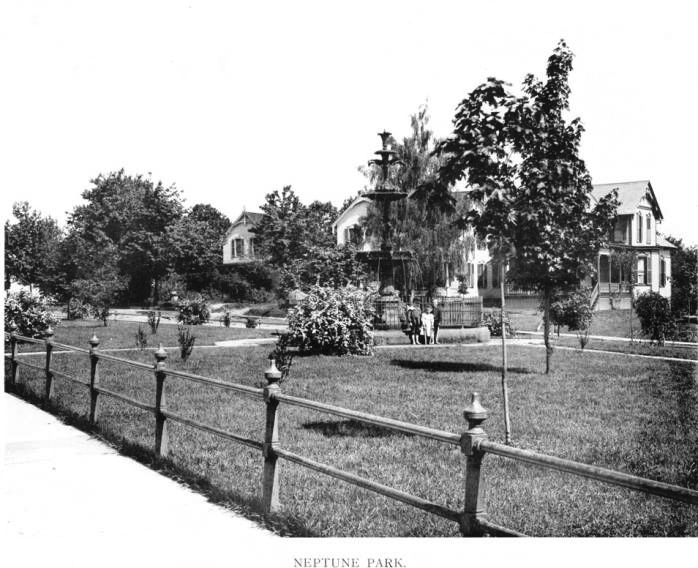 In 1965 Life Magazine ran a photo of Neptune Park from its heyday (see above), prompting locals to chip in and start restoring the busy corner. 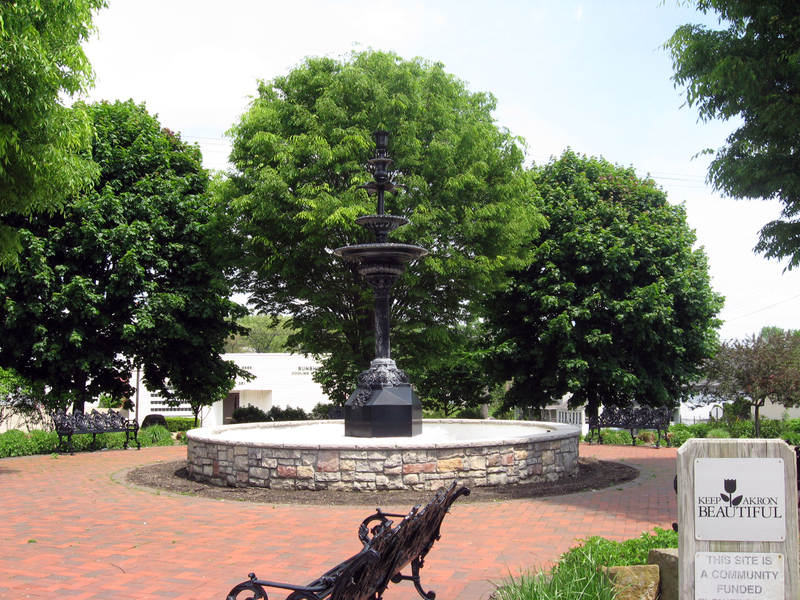 In 2002 the City of Akron and the organization Keep Akron Beautiful collaborated to install a new brick walkway and a replica of Alexander’s original fountain, which was installed on July 25, 2002. A portion of the newly-restored garden was dedicated in memory of those who died on September 11th. Price, Mark; Akron Beacon Journal, June 25, 2000. 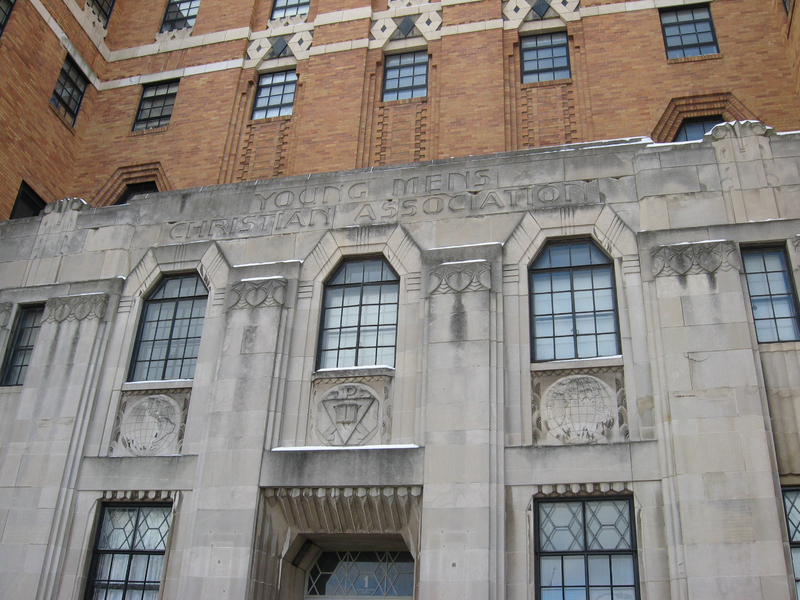 There are obviously YMCAs in all corners of the United States, but I’d like to include the history of many classic Akron structures on this blog so that I (and hopefully my readers) can have a greater understanding and appreciation of what we have in our city. I will try to conduct as much research as I can, but if you think I have made any error in reporting facts please let me know an I will update the site immediately. One of my favorite buildings in downtown Akron has always been the old YMCA. This noble structure is an awesome example of art deco architecture and stands as a testament to many years of service to the young people who lived, worked, and played in our city. The Akron Young Men’s Christian Association first began in 1870 as a small reading room on South Howard Street. After a decade of growth an evening school opened to help young Akronites develop new skills for the local work environment as well as teach immigrants to read and speak English. In 1904 a five story building was constructed at State and Main, but was razed to make room for the Mayflower Hotel (now Mayflower Manor), which still stands in the same spot today. 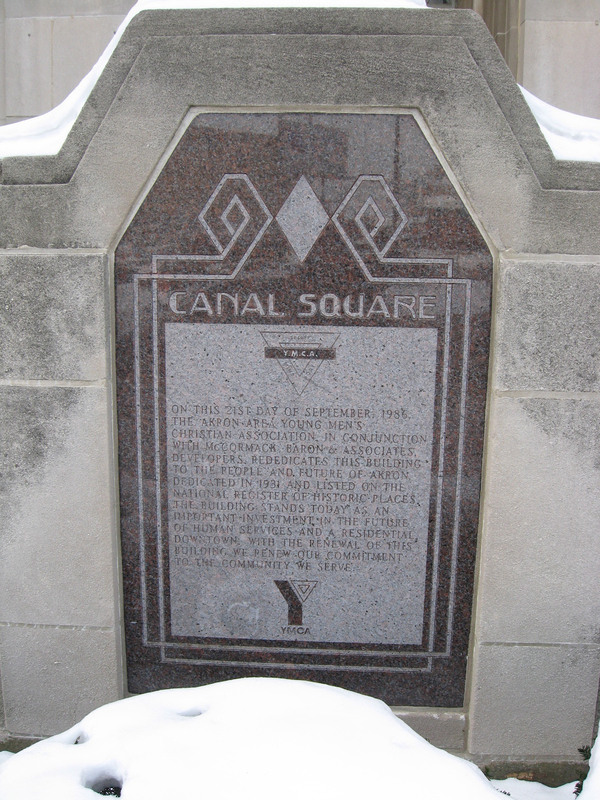 Construction for the Canal Square Y was completed in March 1931 and at the time was the biggest YMCA in the United States. The building housed 220 dorm rooms, 24-hour medical services, two restaurants, dry cleaning, and a barber shop. 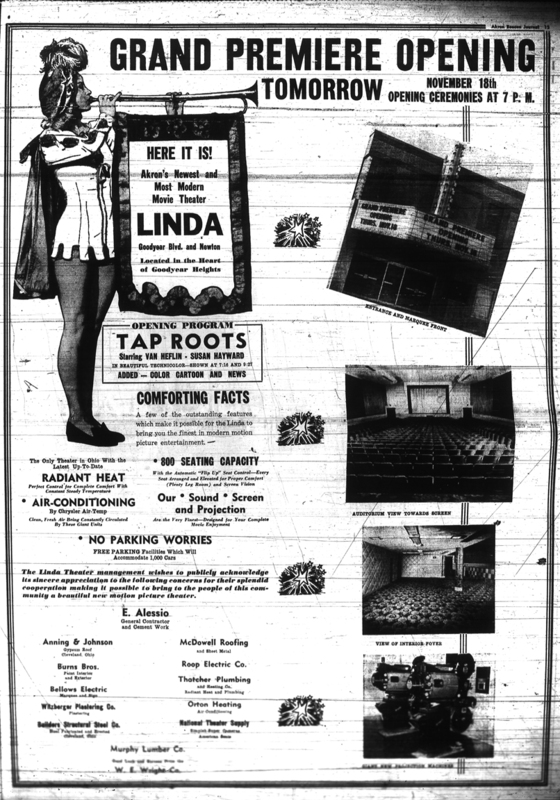 (Just as a note, the number of rooms and services are different in almost every article/history I could find about the building) It also provided the largest swimming pool in Ohio, athletic courts, and a wide variety of equipment for every popular sport. 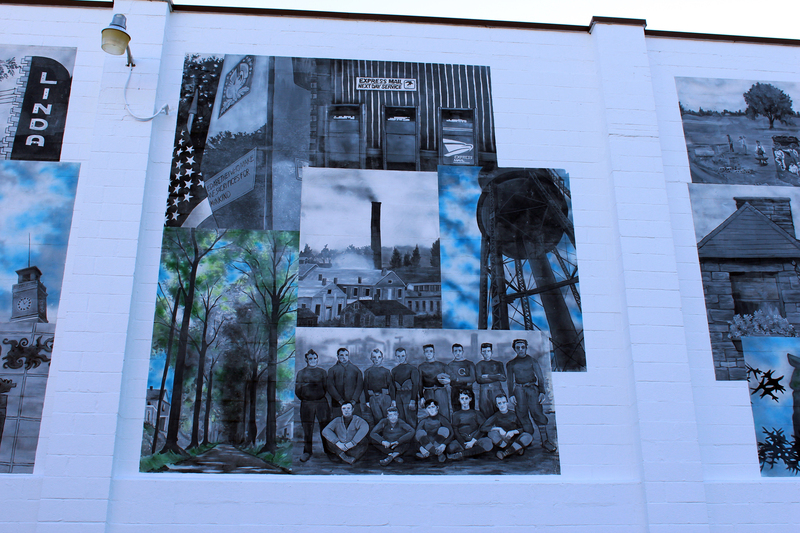 The Y supplied an outlet for young people who had few entertainment and social options, but also provided beds for countless young men who were searching for work during the Great Depression and those who needed a place to stay after serving during wartime. 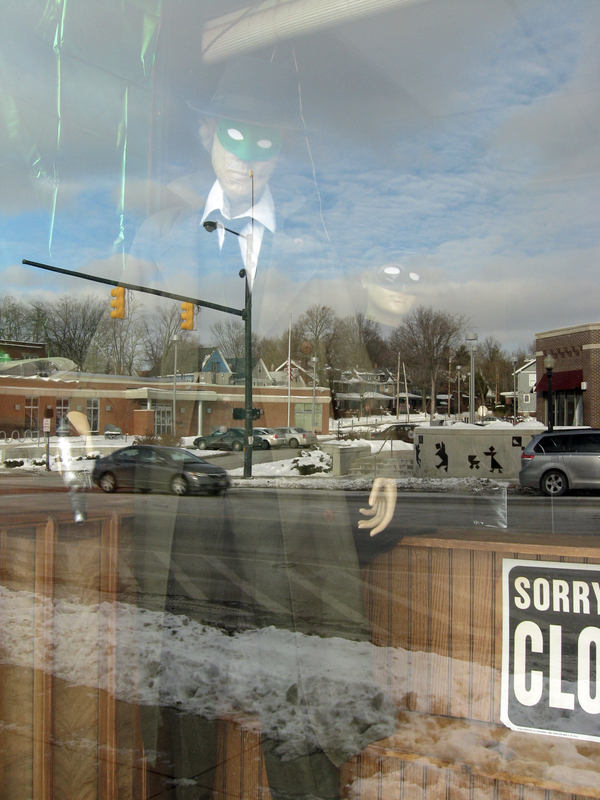 Unfortunately after several decades jobs in the city dwindled and residents moved to other states and to the suburbs. 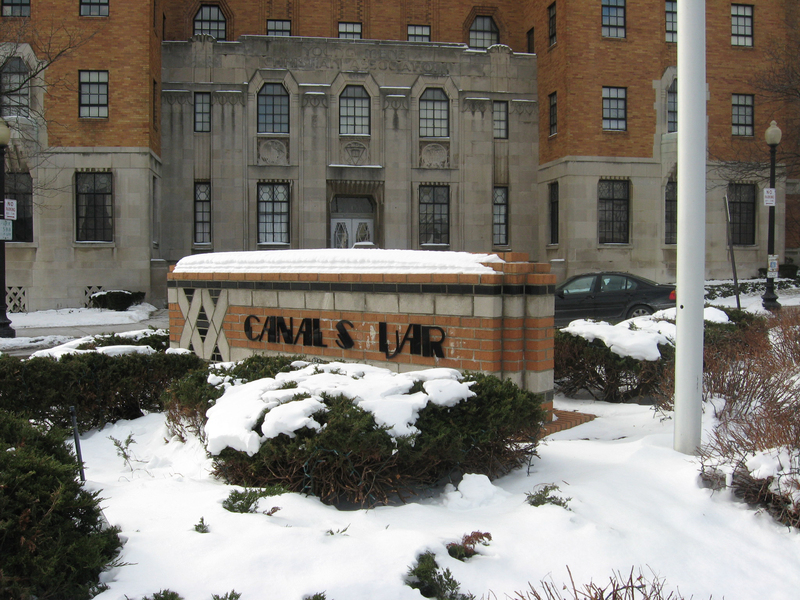 The Canal Y closed in 1980, but reopened in 1986 after a $10 million overhaul funded by a group of independent investors. The dorms were converted into fifty-five apartments and portions of the building were made available to commercial businesses. At its peak the Canal Square Y had over 9,000 members, but when it’s doors closed in December 2010 it had only 950 card-holding individuals and families. The new $11 million, 58,000-square-foot YMCA opened on December 6, 2010 at 477 E. Market Street in partnership with Summa Health System in the University Park area. Hopefully it will continue to serve everyone in the Akron community as well as the old Y did for almost eighty years. Luckily the old Canal structure still stands (it’s listed on the National Register of Historical Places) and is still available for purchase and/or rental. During my years at the Univeristy of Akron I passed by the Andrew Jackson house numerous times and wondered why the legendary President of the United States would have a home right here in Akron. It turns out it’s a completely different Andrew Jackson. The Akron Jackson was one of the owners of Jackson, Buchtel and Company, a lumber business he operated with William Buchtel, the brother of John R. Buchtel, the founder of Buchtel College, which later became the U of A.
Jackson was known for more than being a wealthy businessman, he built what was considered to be the city’s first skyscraper, a seven-story structure at Main and Mill streets in downtown. The duo lived and worked in the Jackson house from 1870 until 1918, when it was purchased by the charitable fraternity The Odd Fellows. 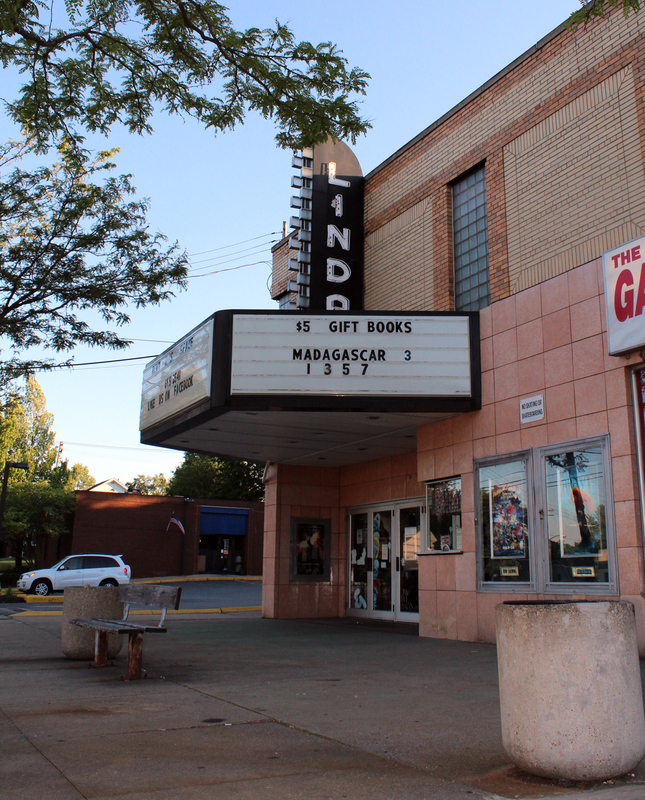 The group stayed in the building until 1994 and was purchased by Clevelander Alex Simon, who planned on turning it into a cafe and hangout for University students. The renovations didn’t materialize and the house was more or less left empty. Although it was added to the National Register of Historic Places in 1975, it later became a hot spot for the homeless, many of whom stripped pieces of the house to burn for warmth. In 2007 it was purchased and renovated by the real estate development and historical restoration company The Chesler Group. It is now the home of the GAR Foundation, a charitable organization that provides grants to improve the community. The ballroom is available for rental, but the facilities are not open for tours. 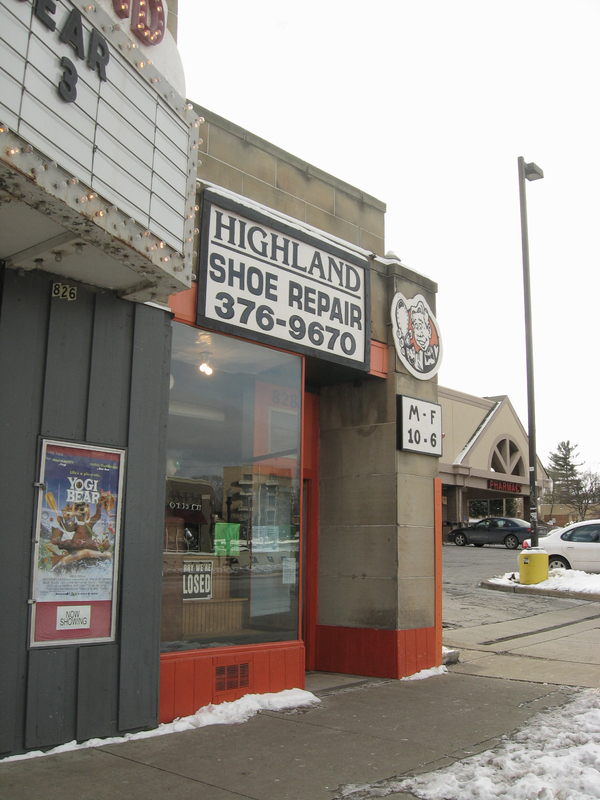 You can view a gallery of photos from before and after the restoration on the Web site listed above. The headstone in the parking lot of the TKE house. I’ve been hanging on to this story just for Halloween, so I’m pretty excited about this post. Enjoy. The TKE house was once the servant quarters for the Hower House down the street. 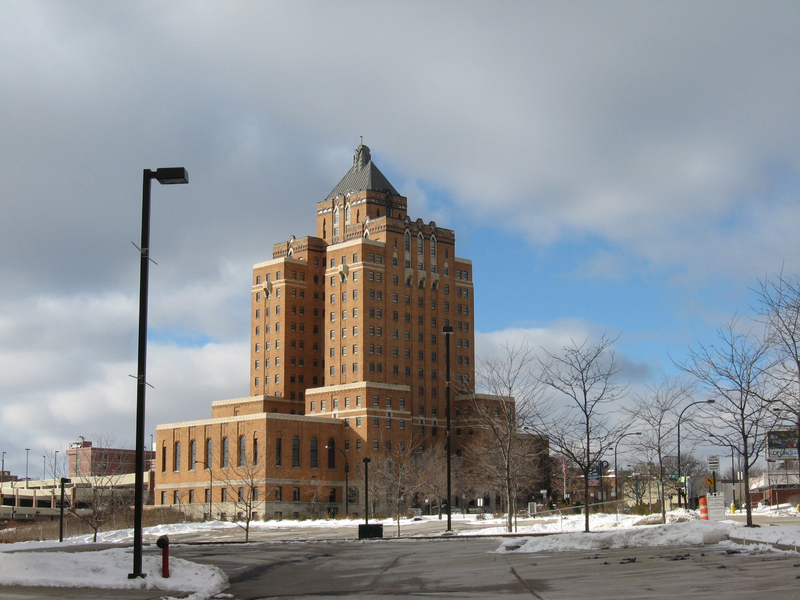 The Howers were one of Akron’s most prominent families and leading industrialists. One of the servant girls under their employment had a relationship with one of the Howers’ sons, which they both swore to keep a secret. The family eventually found out and forbid them to remain together. The girl was so distraught she put a noose around her neck and took a dive from the balcony of what would eventually become the TKE house. Her spirit still roams the halls. I then visited the Hower mansion to inquire about the status of supernatural activity on the property. The director informed me that not only had she never experienced anything out of the ordinary, but that the date of death on the headstone was six years before the Hower House had been completed. OK, so the story wasn’t exactly on the money, but it’s still pretty extraordinary that a headstone has remained in such a high-traffic area on campus for over 140 years. In an attempt to find more information about the stone and the possible bodies underneath it, I spent hours scouring through newspapers, birth records, marriage certificates, death certificates, and more, but unfortunately hit a dead end (sorry, bad pun). I completed my search at the U of A archives where I was told that the University would not have purchased or built on any property that was known to have buried human remains. OK, so maybe the devil didn’t pop out of the ground and swallow people whole, but it’s kind of a cool story. The TKE house is not open to the public, so please do not trespass on their property. The Hower House is on the University of Akron campus and gives tours Wednesday-Saturday, noon until 3:30 p.m. Tickets are $6 for adults, $5 for senior citizens (65+) and $2 for students and children. It’s a really cool old house with fantastic examples of early Akron architecture and furnishings. Just don’t ask if it’s haunted, the guides get a little irritated. 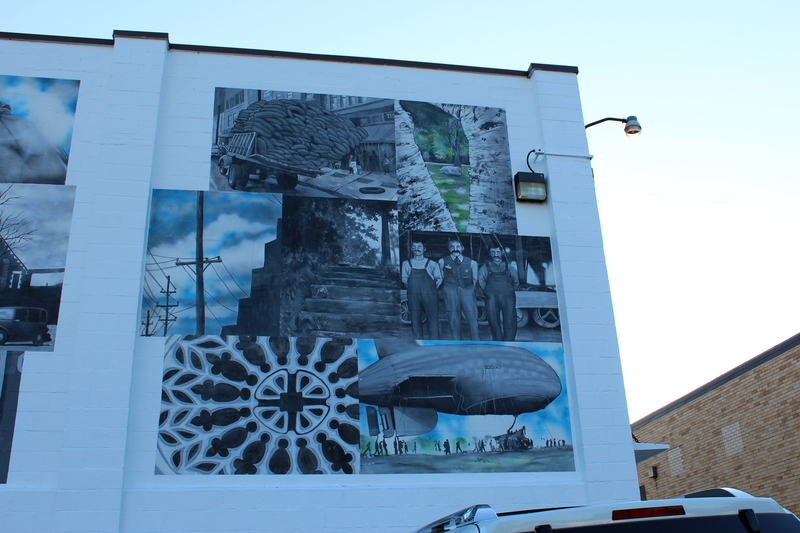 If you’re an Akronite, you know Don Drumm is one of the most popular artists in the area and has made his mark on the city over the past fifty years. But, I really wanted to know who Stiliany Thomarios was and why there was a Don Quiote statue in her honor. To answer these questions I had a short conversation with Donn Drumm’s wife and business partner, Lisa. The statue is made of contemporary steel and is not of Don Quixote, but of a Native American riding a horse in reference to the nearby Portage Path. Stiliany Thomarios was the mother of Paul Thomarios, one of the founders and co-operators of Thomarios Painting and Construction. The company has a wide variety of services, most notably the painting and cleaning of high tech aircraft and space craft, including the Saturn-Apollo V Rocket. 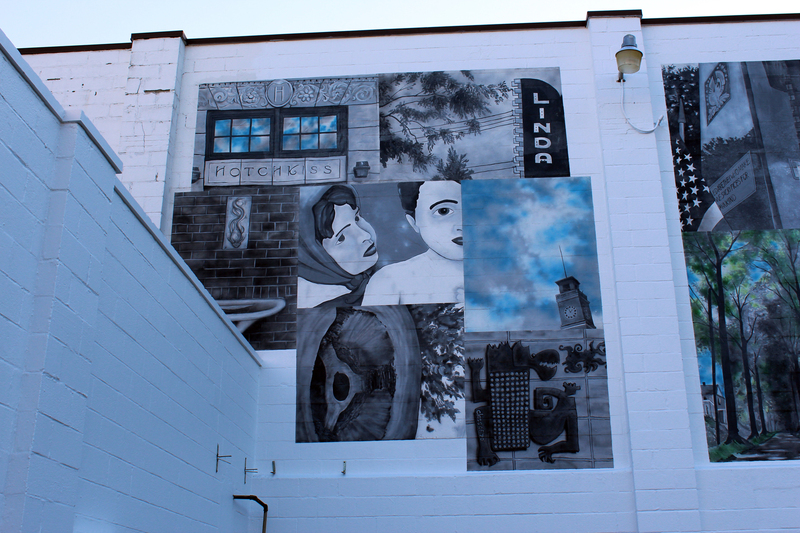 After his mother’s death, Paul hired Don Drumm to create a piece of public art in his mother’s memory. 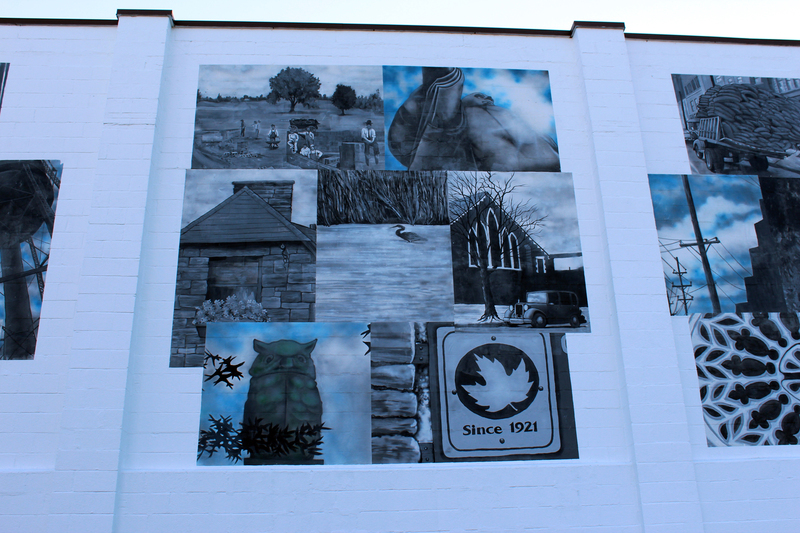 I hope to highlight even more public art in the near future. It’s kind of cool to discover the history of something I drive past everyday, or notice for the first time, and find a fun little story behind it. Let me know if you have any suggestions! During the first half of the 20th century, summertime in Akron meant industrial league baseball. 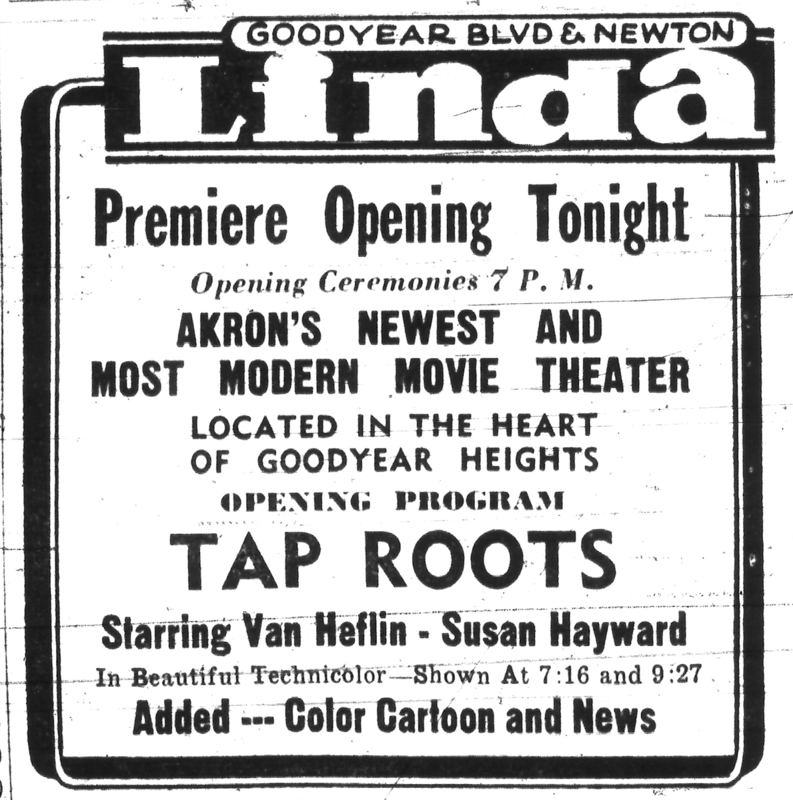 Tire manufacturers Goodyear, Firestone, General and B.F. Goodrich, plus other Akron-based corporations, sponsored teams comprised of their own employees. Currently, Firestone Stadium, which was refurbished in 1999, is the home of the Akron Racers pro softball team.